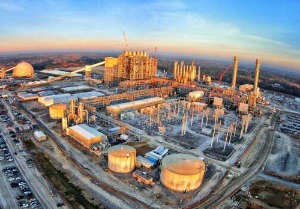 Photo: MISSISSIPPI POWER PHOTO Mississippi Power’s Kemper County $6.2 billion energy facility is expected to be fully operational in the first half of 2016. The company filed three plans with the Public Service Commission Friday to recover the eligible costs of building the project. South Mississippi Electric Power Association is no longer interested in buying a piece of the power plant being built in Kemper County by Mississippi Power. According to a release from the cooperative, its board of directors voted Wednesday to end pursuit of an ownership interest in Plant Ratcliffe. It said delays in the project, changing needs and increased participation costs led to its decision. Coast Electric and Singing River Electric Power Association are members of the cooperative. It had planned to buy 17.5 percent of the plant, which will use synthetic gas derived from lignite to produce electricity, but said studies now show the cost has increased such that it would no longer be a good deal for ratepayers, the release said.